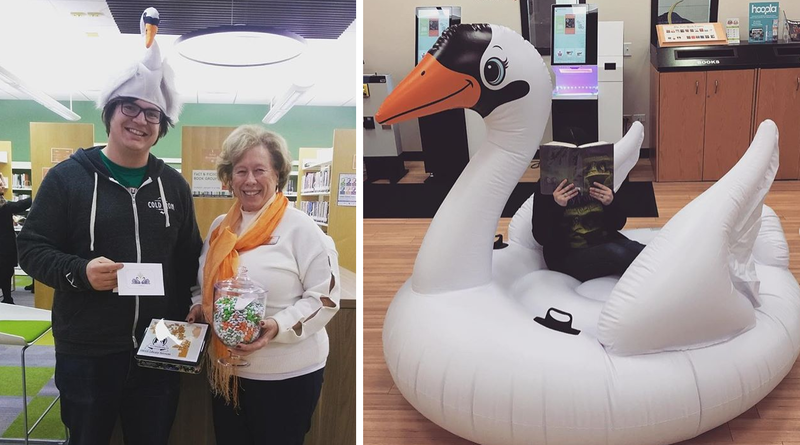 The Green Hills Public Library District is now a full SWAN member, meaning patrons have access to a shared catalog that includes over 10,000,000 items across 97 libraries. Even better, patrons can have those items shipped directly to Green Hills in a matter of days or use a current Green Hills library card when visiting other SWAN libraries. 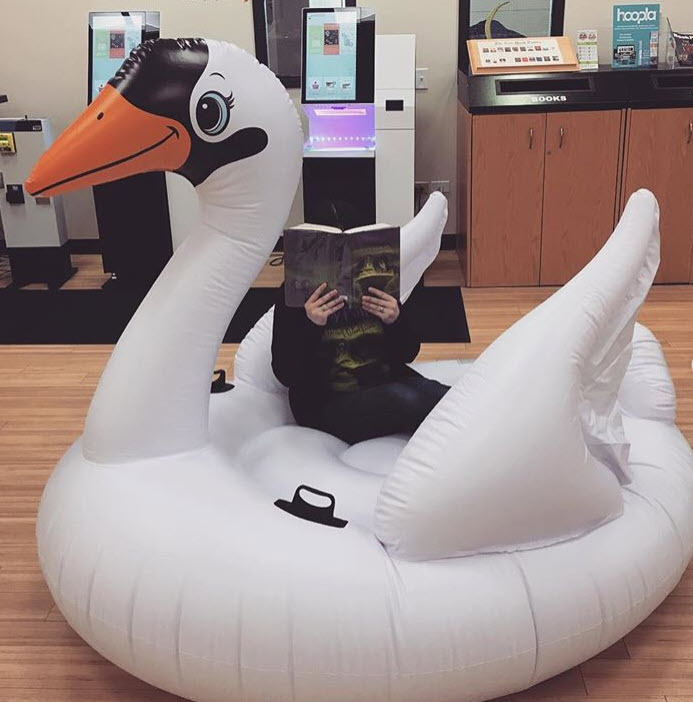 Take a look at the new Green Hills Public Library District SWAN catalog. The look and feel are a little different than before, but functionality remains the same, including automatic renewals, access to your account, and placing holds or downloading materials. We hope you enjoy the benefits of being a SWAN library! (Left) Green Hills Executive Director Jane Jenkins receives a welcome gift from SWAN Project Manager Joseph Miller and (Right) a Green Hills staff member reads Harry Potter in a very comfortable chair. SWAN Library Services, established in 1974, is a consortium of suburban Chicago libraries stretching from Kaneville in the west to Harwood Heights and down to Beecher in the south. In addition to tech support for library staff, SWAN maintains a shared online public access catalog, a database of more 1.2 million patrons, and facilitates sharing of physical materials.